Throughout my program here at Narconon Fresh Start, there have been many ups and downs. Looking back at everything, I could not be more pleased with how much this place has given back to me. I came as a broken and lost individual. 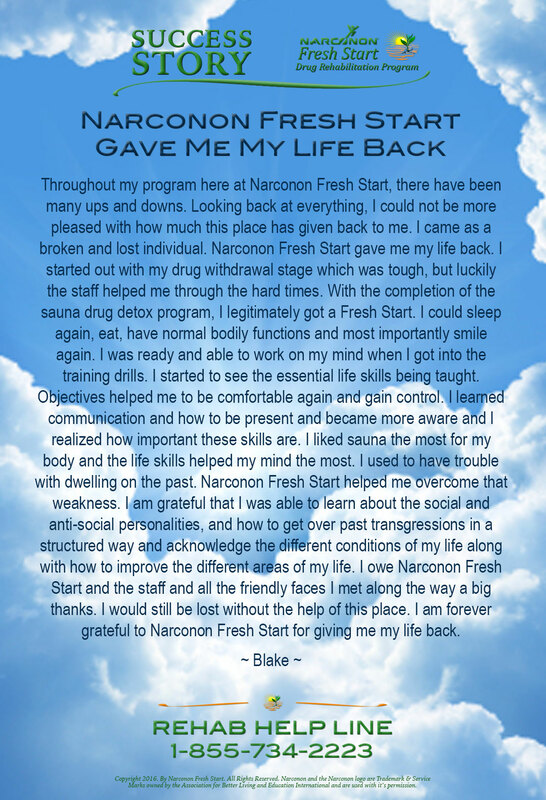 Narconon Fresh Start gave me my life back. I started out with my drug withdrawal stage which was tough, but luckily the staff helped me through the hard times. With the completion of the sauna drug detox program, I legitimately got a Fresh Start. I could sleep again, eat, have normal bodily functions and most importantly smile again. I was ready and able to work on my mind when I got into the training drills. I started to see the essential life skills being taught. Objectives helped me to be comfortable again and gain control. I learned communication and how to be present and became more aware and I realized how important these skills are. I liked sauna the most for my body and the life skills helped my mind the most. I used to have trouble with dwelling on the past. Narconon Fresh Start helped me overcome that weakness. I am grateful that I was able to learn about the social and anti-social personalities, and how to get over past transgressions in a structured way and acknowledge the different conditions of my life along with how to improve the different areas of my life. I owe Narconon Fresh Start and the staff and all the friendly faces I met along the way a big thanks. I would still be lost without the help of this place. I am forever grateful to Narconon Fresh Start for giving me my life back. I can think clearly and my body is finally clean and healthy. The people and staff around me have helped me so much. I can’t thank everybody enough for all the support. I’ve gained a lot from this program. Their is not enough words in the vocabulary to explain. Thank you staff. I am glad that I came to Narconon Fresh Start. I needed the extra help to get me sober. It also helped me in ways I didn’t think about before. 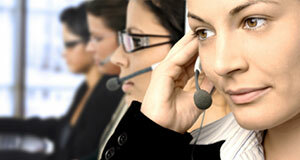 It brought me to present time and gave me the patience to do the tasks asked of me. At first I didn’t think confronting the things in my past would help me, but after doing it I felt better and could accept what I have done.